Past few years brought Milan Rericha to various projects, treasured for his dramatic perfomance yet with very delicat attitude and sensitive care. His sound and unique technic influences many musicions worldwide. He has been asked to lead masterclasses and give recitals over the world, audience can be thrilled by his performance in Europe, China, USA and South America. Milan's rich program includes invitations to solo concerts with orchestras such as Mozart Chamber Orchestra in Milan, Carisch Orchestra di Milan, Accademia Orchestra, Simon Bolívar Orchestra, North Czech Philharmonic, Belgian Royal Symphonic Band. 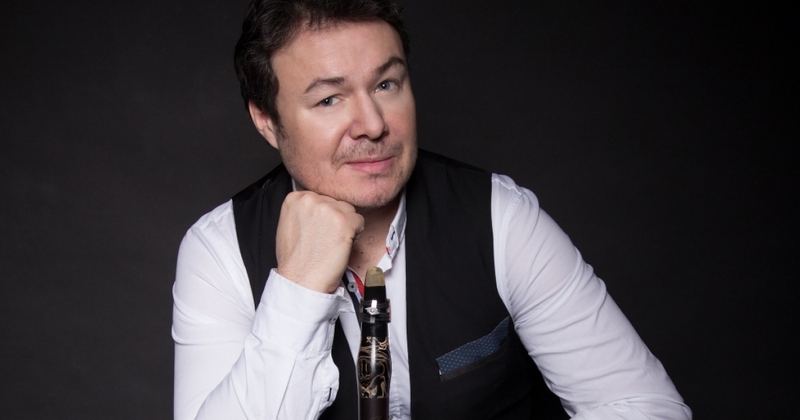 A part from his solo performances and pedagogical activities he represents Czech handcrafted clarinets RZ during countless presentations. As patron of endowment fund Gabrielis he inspiries young generations to work on their talents and is artisticly directing Czech Clarinet Art. He regularly records for Swiss recording company Marcophon with Prague Festival Orchestra. Year 2017 prepared for Milan Rericha quite interested events. Worth to mention is begining of 2017 in which he will set off to China and South Korea and in which he will introduce with the Belgian Royal Symphonic Band some awesome music from his EMR Collection to the Brussels audience for the very first time. An unique recording of Mozart's Clarinet Concerto in cooperation with Gabrielis and Marcophon will see the light in spring. In second half of this year Milan Rericha will go to Mexico and USA, opening concert at ClarinetFest 2017 in Orlando, Florida with Orlando Philharmonic Orchestra will be just one of the sparkles of this year.